Product #55512 | SKU APT100-10000M-5V-CTB | 0.0 (no ratings yet) Thanks for your rating! 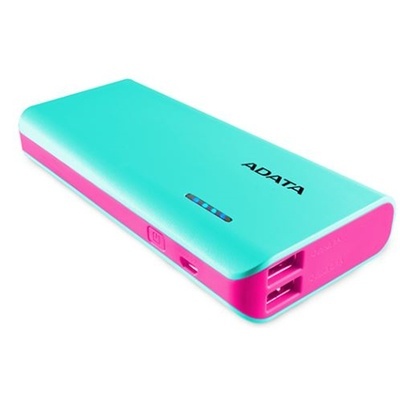 The ADATA PT100 Power Bank with Flashlight (Aqua/Pink, 10000mAh) offers high-capacity 10000mAh charging via two USB outlets. Charge your smartphone and tablet simultaneously and quickly. Use your PT100's handy LED flashlight to light up your mobile life!